Reflexology is actually an ancient therapy and has been around in varying forms as far back as the ancient Egyptians. If you are interested in the origins and history of reflexology, here's some great information. Reflexology is a therapy that dates back for thousands of years. It can actually be traced back to the ancient civilisations of Egypt, India and China. The oldest known documentation of Reflexology is a pictograph that was found in the tomb of an Egyptian physician at Saqqara, near Cairo, which depicts patients having treatments done on their hands and feet. The inscription reads "Do not let it be painful" (one of the patients) "I do as you please" (an attendant). Up until AD200 in Greece, Delphi was an ancient health spa where reflexology was one of the treatments used to create relaxation, well being, and foresight. The more modern form of reflexology was first pioneered by an ear, nose and throat surgeon by the name of Dr William Fitzgerald (1872-1942). Dr Fitzgerald was the founder of Zone Therapy, which was an earlier form of Reflexology. He discovered that exerting pressure on the tips of the toes or fingers caused corresponding parts of the body to become anaesthetised. From this, Dr Fitzgerald divided the body into ten equal zones, which ran from the top of the head to the ends of the toes. By using tight elastic bands on the middle sections of the fingers, or using small clamps on the tips of the fingers, minor surgery could be carried out with no further anaesthetic agents required. In 1917, the combined work of Fitzgerald and his colleague, Dr Bowers, was published in the book 'Zone Therapy'. 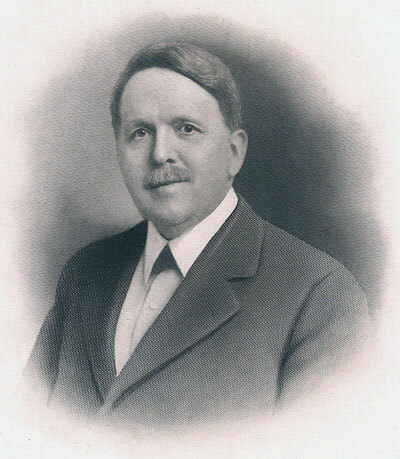 The medical profession did not enthusiastically receive the book, however, one Physician, Dr Joseph Shelby Riley was intrigued. Riley and his wife Elizabeth, refined the techniques and used them in their practice for many years. Riley added eight horizontal divisions to Fitzgerald's longitudinal zones and made the first detailed diagrams of the reflex points located in the feet. Although Fitzgerald, Bowers and Riley developed zone therapy, it was Riley's assistant, Eunice Ingham, a physiotherapist, who made the greatest contribution to the establishment of modern Reflexology. 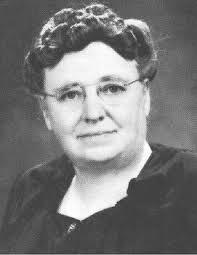 Reflexology as we know it today was pioneered by Eunice Ingham (1889 - 1974), otherwise known as the mother of modern Reflexology. After extensive research, she developed the map of the entire body on the feet - where one point on the foot corresponds to a certain part of the body. By using acupressure or massage techniques on these points, a positive effect is created in the corresponding body part. Eunice Ingham spent 30 years travelling around America teaching her Reflexology first to medical staff, and then to non-medical practitioners. She wrote two books, 'Stories the Feet Can Tell' (1938) and 'Stories the Feet Have Told' (1963). Eunice Ingham died in 1974 at the age of 85 still thoroughly convinced that Reflexology could aid in easing the suffering of mankind. She was on the road with that message until the age of 80. Today, her legacy continues under the direction of her nephew, Dwight Byers, who runs the International Institute of Reflexology. There are many "modern day" contributors. Scientific research and new and efficient techniques keeps Reflexology moving along positively and is starting to gain recognition with the Government and Health Authorities.